I recently read Claire’s (from Word by Word) interesting post on Hugh Schofield’s provocative article in BBC News – “Why French Books Don’t Sell Abroad?” Claire shared her thoughts on French literary culture and she was also kind enough to share Laurence Marie’s wonderful reply to Schofield’s article (aptly called ‘Why Do French Books Sell Abroad?’), in which Marie quotes facts and figures which are totally at variance with what Schofield says and gently lobs the kitchen sink at Schofield as any self-respecting window-smashing French intellectual would do. I thought I will also add my little thoughts to the debate and do my bit to bolster Marie’s case and undermine Schofield’s 🙂 A debate is always fun, isn’t it? One of the first sentences in Schofield’s article starts like this. France once had a great literary culture, and most French people would say it still does. But if so, how come their books don’t sell in the English-speaking world? The implication here, of course, is that because French books don’t sell that much in the English-speaking world as they used to, French literary culture is no longer great. In my opinion, that is an extremely weak and spurious argument. Using sales of a book to judge literary merit – when did literary critics start doing that? If this were the case, romance novels and crime fiction would occupy the top positions in terms of literary merit. Because they always sell well and will continue to sell well. Critics can just forget about every other kind of novel. And how come the French themselves read so many books that are translated from English and other languages? This seems to imply that if a person reads a lot of translated fiction, it means that the literature of their own language is not great. This is another spurious argument. French readers and writers have always promoted good literature, irrespective of the language in which a book was originally written in. For example, Edgar Allan Poe was virtually unknown in his own country and he died penniless, while he was translated in France by the poet Charles Baudelaire and his works were celebrated. The first ever European translation of the ‘One Thousand and One Nights’ (‘Arabian Nights’) was done by Antoine Galland into French in the early 18th century. English translations followed only more than a century later. You can’t blame a reader or a country for loving good literature, irrespective of its origin. French books are precious, intellectual – elitist. And too often bookshops are intimidating. Ordinary people are scared of the whole book culture. The French take huge pride in their literary tradition – it’s been calculated that the country has a staggering 2,000 book prizes. A law passed earlier in the year that prevented online retailers from discounting books led to complaints from Amazon that it was being discriminated against. From my perspective, I understand what the French government is trying to do here. It is trying to help the publishing industry and writers. Writers have been poorly paid across the years and the centuries and there is nothing wrong in protecting their interests by not allowing discounts on their books. To buy books at a discount, French readers visit secondhand bookshops and bouquinistes. Personally, when I buy a new book at a discounted price, there is always a conflict going on in my heart – I love the fact that I got a beautiful book at a discounted price, but I also know that books which are discounted are typically books that don’t sell well, which means that the concerned writer is already not making money, and this makes the situation worse and there is a deep pain in my heart when I think about that. the sale of e-books is a fraction of what it is in the US and UK. What is the connection between this and the question asked by the article – ‘Why French Books Don’t Sell Abroad’ – I have no idea on that. This sentence just implies that French readers like reading paper books over e-books. I find nothing wrong in that. This situation is true across the world – inspite of the e-reader phenomenon, a majority of readers across the world still prefer reading paper books. The article also makes this interesting comment about French book covers. The books themselves are not made to look appealing. New novels have the same cream cover, with a standardised photo of the author. Design does not seem to be at a premium. I have no idea how this is connected to the main topic of the article on why French books don’t sell abroad. I won’t say anything more about this, but I will point you to Claire’s wonderful reply to this point in her post in which she beautifully explains why French books have a similar cover and what could be the reason behind that. And compared to the UK, there is a glaring lack of offer in certain genres – popular history, popular science, biography, humour, sport. Here too, I have no idea on how this is connected to the main topic of the article. However, I would like to add a comment here. One of my favourite historians is French. His name is Fernand Braudel. He was one of the important members of the Annales school, which pioneered the use of social scientific methods in history and published books on history from the perspective of the normal man / woman. Though Braudel was a ‘proper’ historian, his works are accessible to a general audience. His work ‘The Mediterranean’ is brilliant and his ‘Civilization and Capitalism’ and ‘Identity of France’ are masterful works. If you love history, these are all must reads. French novel-writing has never recovered from the experimentation of the post-war era. This is the kind of wrong perception which is prevalent among some people now, and I have to write a long rant about it. But I will try to make it brief. Some of the writers who pioneered the ‘nouveau roman’ were the OuLiPo writers. I have read a few of them and know about a few of them. Raymond Queneau was one of the founding members of the OuLiPo group and he mostly wrote experimental novels. One of them is ‘The Flight of Icarus’. From what I know, it was the first instance in which a character from a book steps out into the real world and talks to real people or disappears from the book and the writer goes in search of that character. (If I am wrong in this, please do let me know, because I am not able to discover this idea in a book which pre-dated this.) This idea later inspired Woody Allen when he wrote his short story ‘The Kugelmass Episode’ in which Madame Bovary steps out of the book and falls in love with a reader. Allen later used this concept in his movie ‘Purple Rose of Cairo’ in which a character steps off the screen into the real world – a scene which has been copied in countless advertisements. This idea has inspired countless books which were published recently, including Jasper Fforde’s ‘The Eyre Affair’ (and other books in that series), Cornelia Funke’s ‘Inkheart’ (and other books in that series) and Jodi Picoult’s and Samantha van Leer’s ‘Between the Lines’. Of course, no one gave credit to Queneau. Queneau also wrote another book called ‘Exercises in Style’, in which he told one short story in one page and then retold it in many different ways 98 more times. 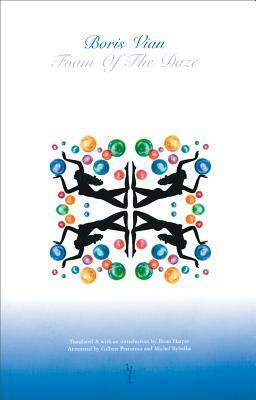 ‘Exercises in Style’ is totally unique and the first of its kind and it is used as a textbook in creative writing courses today. In my opinion, the ‘nouveau roman’ didn’t lead to the decline of French literature. Because other writers borrowed the ideas first introduced by the ‘nouveau roman’ writers and used them in their own popular novels. Jasper Fforde did that. So did Cornelia Funke. And Jodi Picoult. The popular success of their novels shows that the ideas first explored in those nouveau romans are alive and kicking and thriving today. And readers who read in English love those ideas first explored in the nouveau roman form which is why these popular novels are successful today. Readers who read in English are not just plot-loving-readers as the article seems to imply. They are more complex and more interesting than that. French writers have always been pioneering in exploring new ideas, new ways of telling a story, experimenting with plot structure, extending the definition of the novel and exploring themes which are controversial and which haven’t been explored before. French literary culture has always given them the freedom to do that. For example, from what I could tell, the first novel to explore adultery from a woman’s perspective was ‘Madame Bovary’. (Emma from ‘Book Around the Corner’ tells me that ‘Madame Bovary’ was inspired by ‘La Femme de Trente Ans’ by Honore de Balzac. That doesn’t change my main argument though – Balzac was still French 🙂) It probably inspired other books which came later and which explored the same theme like Leo Tolstoy’s ‘Anna Karenina’, Theodor Fontane’s ‘Effi Briest’ and Kate Chopin’s ‘The Awakening’. The surrealist style novels were pioneered by French writers, the most famous of which was Andre Breton’s ‘Nadja’. My own favourite is Boris Vian’s ‘Foam of the Daze’, which is a beautiful, surreal, aching love story. Modern science fiction was pioneered by French writers. Jules Verne is the father of modern science fiction. I sometimes laugh when I read that H.G.Wells and Hugo Gernsback are also regarded as fathers of modern science fiction. Jules Verne wrote his first science fiction novel before either of them was born (Wells was born in 1866 and Gernsback was born in 1884. Jules Verne wrote his first science fiction novel in 1863.) His only sin was that he was French and so he has two other Anglo-Americans competing for the honours. In my mind, there is no doubt. Jules Verne is the father of modern science fiction. Thank you very much. J.K.Huysmans’ fin de siecle novel, ‘Against Nature’, is one of its kind and is regarded as the ultimate example of ‘decadent’ literature – a novel in which the main character shuts himself up in his castle and admires his works of art and his possessions and treasures and lives a rich interior life and avoids human contact. I want to conclude with one last example. 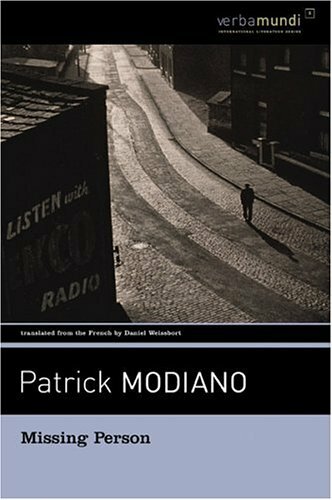 Patrick Modiano’s ‘Missing Person’ is about a man who can’t remember his past. When he goes on a quest in search of his true identity and his past story, he discovers first that he is one person and then he is another. This continues till the end of the story. We, of course, are familiar with this story, through the Bourne series by Robert Ludlum. 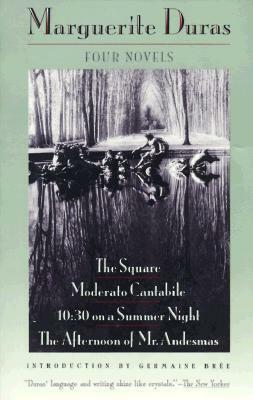 Modiano’s book was published before Ludlum’s. I suspect that Ludlum got inspired by Modiano’s book. The French literary landscape and culture has also inspired writers from other countries to come and write in French and experiment in their works. One famous example is the Irish Nobel prize winner, Samuel Beckett. Beckett wrote most of his famous works in French. His famous absurdist play ‘Waiting for Godot’ was written in French and was first performed in front of a French audience. More recently, Jonathan Littell, who was born American but who now holds French citizenship also, published his first novel ‘The Kindly Ones’ in French. It went on to win the Prix Goncourt. In case you are curious, it is a holocaust novel told from the perspective of a German SS officer who worked in the Eastern front. As you can guess, that would be pretty controversial. Schofield’s article also ignores French books which are written by authors who are not French – typically authors who are Canadian or North African or Caribbean. Two of my favourite authors who write in French are Canadian. 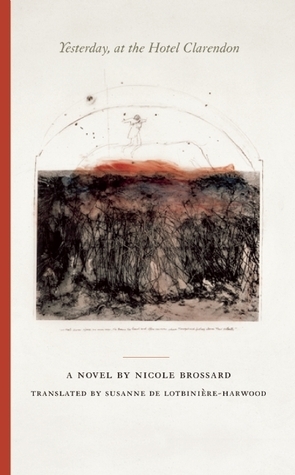 Nicole Brossard has written some very beautiful novels including ‘Yesterday, at the Hotel Clarendon’, which is one of the most beautiful novels I have ever read. Nancy Huston, who was born Canadian and who lived and wrote from there before she moved to France, wrote the beautiful ‘The Mark of the Angel’ – a novel about love, war and the Holocaust, a novel which has a German heroine who is married to a French musician and who falls in love with a Hungarian Jewish man. One other thing that the article is silent on is French comics. French readers love comics and even though I am an outsider, I have loved French comics since I was a child. (When I say ‘French’ with respect to comics, most of the time I mean Franco-Belgian, because the comics were created by Belgian writers with various European artists and published in French) And I am not talking about just the Tintin and the Asterix series which are world famous. But also the ones which are less famous among English-reading readers – like ‘XIII’, the Lucky Luke series, the Blueberry series, the Largo Winch series, the adventures of Ric Hochet, the Wayne Shelton series and others. Two of my recent favourites are these : the first one is ‘Western’ which is by my favourite comics writer Jean Van Hamme and is an achingly beautiful ‘western’ love story. The second one (which I am still reading) is ‘Batchalo’ which tells the story of the Roma community in France during the Second World War. Unfortunately, this has not been translated into English. French authors routinely appear in the English-speaking world’s lists of the best novels ever – Voltaire, Flaubert, and Proust… sometimes Dumas and Hugo too. But when it comes to post-war literature, it’s a different story. Even voracious readers often struggle to name a single French author they have enjoyed. Well, this is not true. Though I am not a French literature expert and I am just a fan, I have my own list of favourite French authors from the post-war era. Here are some of them (Take that, Schofield 🙂 This is me throwing the kitchen sink!) I have added links to my reviews of these novels with brief excerpts from my reviews of what I thought of them. I want to write about one last thing. Most of the time when I want to explore new French writers, I ask Caroline from ‘Beauty is a Sleeping Cat’ for suggestions. You can find her reviews of French books here. Sometimes I also check the reading lists of Emma from ‘Book Around the Corner’. You can find her French reading lists here – Reading List 1 and Reading List 2. You can also find Emma’s reviews of French books here. Stu from Winstondad’s Blog mostly reads and reviews translated fiction. His blog is a rich source of reading suggestions of not just French fiction, but also translated fiction from all languages. You can find his reviews of French books here. I also sometimes check the book ‘One Hundred Great French Books’ by Lance-Donaldson Evans. It is a rich source of reading suggestions spanning the entire history of French literature. You can find my review of the book here. In conclusion, French books are not elitist but are accessible. French books come in all sizes and shapes and genres as do books in English and in other languages. French readers read translated fiction. That doesn’t mean that they don’t like fiction written in their own language. They love French fiction. French writers are pioneering innovators and in many cases others are just catching up with them. 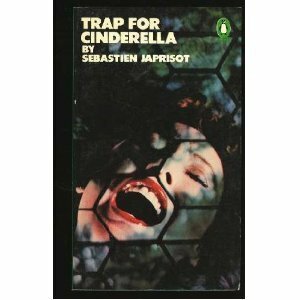 It might be true that less French books from the post-war era are getting translated into English. It doesn’t mean that they are not good. They are brilliant. If they are not translated it is a big loss for English-reading readers. It is not a loss for French writers. French books are written not only by French writers. They are also written by Canadian, North African and Caribbean writers. Comics are a big part of the French literary tradition. French writers and publishers are supported by the policies of the French government. What do you think about this topic? I would love to hear your thoughts. Even if you have a different point of view, I would still love to hear it. I read two interesting books this week. Here is what I think about them. I love the TV series ‘Castle’ featuring the characters, Richard Castle, the crime fiction novelist, and Kate Beckett, the NYPD Detective, whom Castle helps in solving cases. One of the books that is mentioned in the TV series is the novel series featuring private investigator Derrick Storm. When I discovered that the Derrick Storm series exists in the real world, I was quite thrilled. Castle being a fictitious character and the novel being real – well, it was like being inside a Raymond Queneau book 🙂 I got the first book in the series – not the actual book but the graphical novel adaptation of it – and finished reading it in one sitting. The basic story is quite simple. Derrick Storm is a private investigator who is trying to make ends meet. Right now he has been hired by a woman to find out her husband who is missing. Storm finds out that the husband is cheating on his wife. Then the husband discovers him and a few other bullies come after him with guns and Storm escapes. He is then approached by CIA Agent Clara Strike, who says that the husband is a former CIA agent and they want his help in locating him again. When Derrick Storm pursues the investigation, one thing leads to another and he ends up in jail. He is accused of murdering the wife, who had originally hired him. When he sees the picture of the wife that the police show, he discovers that the person who hired him is different from the woman in the picture. He wonders who the real wife is. The action continues and takes Storm on a roller coaster ride. For more, you should read the book. 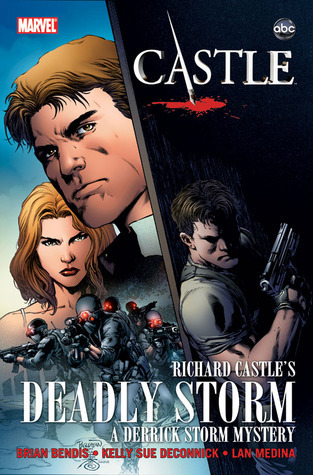 As a standalone, I don’t know how I would rate ‘Deadly Storm’. But if you are a ‘Castle’ fan, you will love it. The sparks between Storm and Strike will make you remember the chemistry between Castle and Beckett. And the story is a fun read. I loved it. I am looking forward to reading the graphic novel adaptation of the second book in the series. I sometimes read picture books, inspired by one of my favourite friends who works as an elementary school librarian. 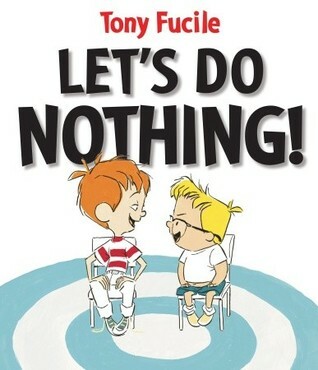 I discovered ‘Let’s Do Nothing’ by Tony Fucile recently and the title and the blurb made me very excited and so I read the book. The story is about two friends Frankie and Sal, who feel that they have done most things – having played all games including board games, read most comics, pained more pictures than Van Gogh, baked lots of cookies – and now they don’t know what to do. Sal suggests that they do nothing for a short while and Frankie agrees. But ‘doing nothing’ is not as simple as it seems. Actually it turns out to be the most difficult thing. What happens after that is the rest of the story. I found it funny and also very insightful because the book shows how difficult it is to be quiet or do nothing for even a short while, especially for our 21st century mind which is filled with a blizzard of thoughts. And it does that in a way that children can understand. The story is humorous and funny and the theme it addresses is very Zen. I totally loved it. This is a wonderful book to gift to your children or to your nieces / nephews or your friends’ children.